A long-dead climber who comes in from the cold brings murder to the mountain air. Mountaineer Reginald Kincaid was believed to have died during an expedition to climb Mount Everest. It comes as a shock to his fellow climbers when he turns up again 22 years later and the mystery is compounded by the death of Arthur Fleece, Kincaid's climbing partner on the Everest attempt. 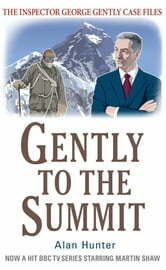 Fleece falls to his death on Mount Snowdon in an apparent accident, but the feud that had developed between Fleece and the resurrected Kincaid sparks a murder investigation for George Gently with a 'dead' man as the prime suspect.